Many of us have been surprised in spite of ourselves when one day we looked up and realized that we’ve been paying for a MMO like World of Warcraft when we haven’t logged on for months. Or maybe we’re reading our e-mail and we get a cheerful note from Microsoft saying that our Xbox Live Gold account has automatically renewed and the charge applied to our credit card. And still we don’t do anything about it. Why not? Today's kids love hearing about 401(k) savings plans, right? Can you guess as to why only 49% of people in Group A decided to save for retirement while a comparatively larger 86% of Group B members decided to save? Maybe Group B is full of MBAs, economists, or self-aware computers who are more rational than the drunken chimps in Group A? Nope. Maybe Group A is full of young whippersnappers unconcerned with retirement while Group B is comprised of old geezers? A better guess, but still incorrect. Psychologists have a term for this reluctance to change from our previous or default decisions: “the status quo effect.” 3 Most television programmers use it to glide you from one show to the next, using an established hit with a strong viewership to build an audience for whatever comes after it. It’s even gotten to the point where you move seamlessly from the end of one show to a quick intro to the next without even pausing for a commercial break. Because once they start, most people will continue to watch even though switching to something else is trivially easy. Notice which option is checked by default: the most expensive one. That’s not by accident. HTML technology is sufficiently advanced so that they could easily have had NO plan chosen by default and could instead require you to make your choice in order to proceed. Instead, they’re taking advantage of the status quo effect and probably getting more people for the $12.95 plan. Hey, look, Netflix does the same thing! Similarly, “Opt out” options are popular among marketers because many people don’t bother with the almost effortless task of unchecking some boxes so that they don’t receive spam or avoid installing some obnoxious toolbar in their web browser. But you guys, wait! The status quo effect only gets more potent when the task you’re faced with is more difficult or cognitively demanding. In a recent article for Psychology Today, psychologist Kelly McGonicgal discusses some research 5 that addresses the neuroscience of how this all works. Subjects in this study were asked to make difficult calls about whether a tennis ball was in or out of bounds, but for each trial one of the two possible calls was randomly made the de facto default choice. You can probably head me off at the pass and figure out that people tended to stick with the randomly assigned default choice, even more so when the call was difficult. And according to McGonigal, even considering going against a default choice seemed to increase the activity in the prefrontal cortex (an area associated with decision-making) and increased exchanges between that area and the subthalamic nucleus, a chunk of gray matter associated with motivated behavior. In other words, evaluating something besides a default options literally requires more mental energy. The status quo effect can work to our benefit, though, as we saw in the 401(k) savings example above. Many games feature built-in tutorials, tooltips, or other pointers for novice players. Often these assists can be turned off, but they are almost always “on” by default because even if you ,make players aware of them, most would probably not bother turning them on if they were off by default and frustration would ensue. For example, the Guitar Hero and Rock Band games don’t present tutorials to new players by default. This always seemed weird to me, and I swear I made it through most of the first Guitar Hero without ever knowing about hammer-ons and pull-offs because I had skipped the tutorial. So beneficial situations aside, how do you guard against the status quo effect when you don’t want it unduly influencing your behavior? For starters you can use prepaid subscription cards instead of automatically renewing subscriptions. I renew my Xbox Live Gold membership each year by using such a card, which has the added benefit of letting me buy the cards when they’re on sale and hold on to them until needed. Heck, even Zynga of Farmville fame is selling prepaid game cards now. 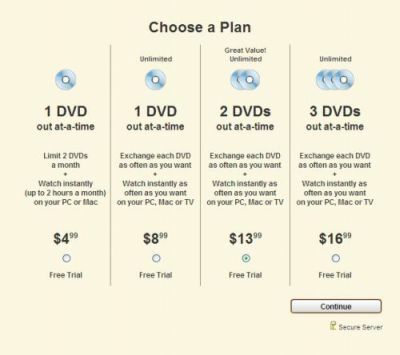 Beyond prepaid cards and canceling free trials before they morph into a paid subscription like a Zerg larvae, just make sure you take the time to look carefully at default options the next time you’re filling something out or agreeing to a terms of service. Especially when it’s a cognitively demanding or confusing task, as that’s when you’re most likely to succumb to the status quo effect. Consider: are those default choices what’s best for you? SPOILER ALERT: no, probably not. 1. Madrian, B. & Shea, D. (2001). 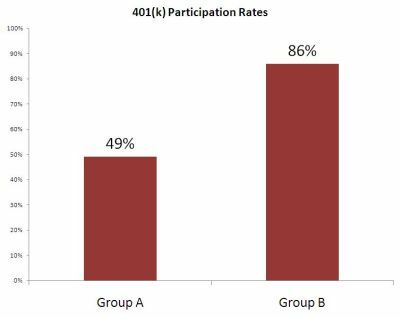 The Power of Suggestion: Inertia in 401(k) Participation and Savings Behavior. The Quarterly Journal of Economics, 4, 1149-1187. 2. Actually, it’s not quite that simple, as the study found that new hires also stuck with the default 3% savings rate, while those who actively had to choose their savings rate tended to set aside a higher percentage of their pay. But it’s true in the general case, and if the default had been 6% instead of 3% then they would have saved that much more. 3. Thaler, R. & Sunstein, C. (2008). Nudge: Improving Decisions About Health, Wealth, and Happiness. New York, NY: Penguin Books. ← Zerg Rushed by a Tiger? Just give up. @AlexC, actually I think it does. Just as the research shows people do what’s presented to them (automatically enroll, accept the pre-checked option, etc.) when canceling seems like a hassle people tend to disregard they should do it as referenced in the first paragraph. This made me remember when I wanted to cancel my Xbox live account a few years ago. I looked for any option on the xbox live dashboard but couldn’t find a cancel subscription button. So I went to xbox.com. Surely they must have a cancel subscription. Nope. And then I finally see it. A phone number. I have to call and talk to a guy, who then hassles me about canceling and tries to get me to stay. All this for a $8.00/mo subscription. People follow the path of least resistance and if not for my girlfriend’s nagging I think I would have just kept the account rather than deal with all that. I have a friend who let his WoW account charge him for at least 6 months after he stopped playing. I cancelled my WoW account 3 times, any time I stopped playing. But they do make you fill out a form every time you unsubscribe. What I meant was this was just the signing up, I know full well how awful it is to cancel subscriptions, and that was my point. Even deleting characters can be made an ordeal. In FFXI you have to wait something like 45 seconds while you character sits and cries before you can delete it. Ha, really? That’s awesome. I want to see that. When my dad passed away you would not believe how big a pain it was to cancel his America Online account, which he hadn’t even used in a long time. I had to call them and endure repeated attempts to get me to transfer the membership, keep it going, etc. They didn’t even care that the credit card to which it was being billed would shortly become inactive. They just wanted to make it as unpleasant as possible for me to cancel.